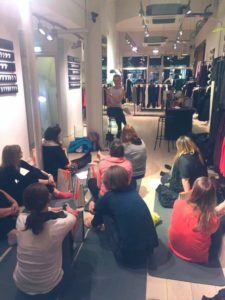 I’ve proudly been an Ambassador with Sweaty Betty since 2011, and completely loved our last workshop and everyone who came. Harriet, Bristol Manager ‘interviewed’ me around lifestyle, entrepreneurship, empowering women and overcoming challenges. We went deep, vulnerable, with lots of laughter and amazing questions. Such a wonderful evening, a huge thank you to everyone who came. And to Teapigs, Kate Percy’s Go Bites and Lean Greens for great goodies and discounts. To find out more about Sweaty Betty new arrivals and the Bristol awesome Team – check out their timetable. To read some inspiring interviews with many women, grab a mug of your Teapigs and click here. 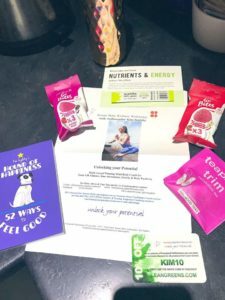 Keep a look out for my interview and next event with Sweaty Betty coming soon, but in the meantime jump over to Instagram and get involved. To book me for presenting, hosting or panels please email me.